Bergen Neurology Consultants a Practice of Englewood Health Physicians Network is seeking a Board Certified/ Eligible Adult Neurologist to join their group practice. Bergen Neurology Consultants is a practice of 5 neurologists, trained in Psychiatry and Neurology. They offer expertise to patients in Bergen County experiencing epilepsy, stroke, Alzheimer's disease, headaches, Parkinson's disease, neuropathies, multiple sclerosis, dizziness, neck and back pain, and other neurological disorders. Our neurologists trained at major teaching hospitals and teach at Columbia University Medical Center and New York-Presbyterian, providing hospital care as part of the Medical Staff at Englewood Hospital & Medical Center. Each physician has subspecialty training and interests, and are skilled in diagnosis and treatment of neurological diseases. 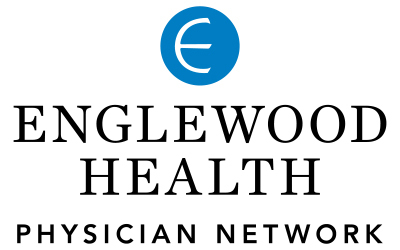 As part of MDPartners, the physician network of Englewood Hospital and Medical Center, we offer seamless primary and specialty care to our patients. Our network comprises a growing group of hundreds of physicians, representing a range of specialties, with convenient locations throughout northern New Jersey and Rockland County, NY. Bergen Neurology is located in Englewood, NJ, just minutes from New York City, the nation’s center of culture, information, education, and recreation. Englewood Hospital and Medical Center, a community teaching hospital in Englewood, New Jersey, is nationally recognized for cardiac surgery and cardiac care, breast imaging and cancer care, spine surgery, orthopedic surgery, and maternity care, and is an international leader in patient blood management and bloodless surgery. Other areas of excellence include diagnostic imaging, offering a 3T MRI machine, a hybrid operating room, and other state-of-the-art technology. Consistently earning high marks for clinical excellence and patient safety, Englewood Hospital and Medical Center is a “Best Regional Hospital” according to US News & World Report (2016-2017). Founded in 1890 as a 12-bed facility, Englewood Hospital and Medical Center is today a fully accredited hospital with 352 beds serving Northern NJ and beyond. As an affiliate of Hackensack Meridian Health and offers training programs in internal medicine, podiatry, pharmacy, and radiography, and serves as a site for training in surgery, vascular surgery, pathology, anesthesiology, emergency medicine, and critical care medicine. We offer a competitive guaranteed salary with the opportunity to grow uncapped compensation with a generous wRVU compensation model, full benefits package, malpractice insurance, retirement plan, CME allowance, and a flexible call schedule. The backbone of the network is the more than 130 primary care practitioners, who are central to managing a patient’s care and streamlining access to specialists. With care coordinators, social workers, quality coordinators, and patient navigators, the practices are putting patients at the forefront, bridging relationships among patients and families and their care teams. In addition to primary care, the network offers specialty services including bariatric surgery, behavioral health, cancer care, cardiology and cardiac surgery, colon and rectal surgery, endocrinology, hematology/oncology, gastroenterology and gastrointestinal surgery, infectious disease, neurology, obstetrics and gynecology, pain medicine and palliative care, podiatry, rheumatology, sleep medicine, urology, and vascular surgery. A single electronic health record system offers full and seamless integration of patient information from the practices in the network and the hospital to support continuity of care.